It's Memorial Day and as we remember the sacrifices made by our fallen soldiers for the cause of freedom, I ask that you resolve in your hearts to do everything you must to impact our country for liberty. Our most basic duty as a citizen is to participate in the election of our officials as an informed voter. Please review the website to see which candidates are up for the June 13 primary election and your polling place. 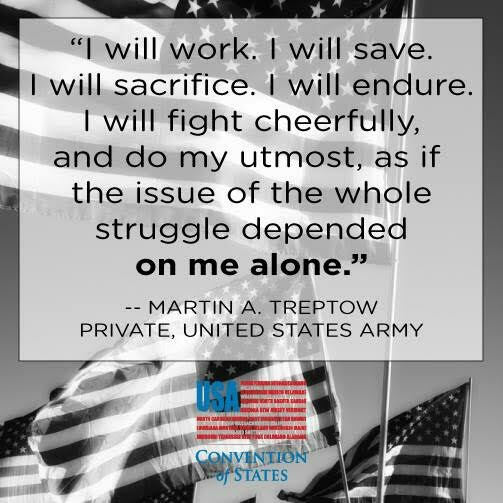 Also, the primaries offer an opportunity to get out, make friends and spread the message of self-governance through an Article V Amendment Proposing Convention of States. Many concerned, informed citizens will show up to polling places across the commonwealth. We at the cosaction website have petitions you can print and other great handouts at that site as well. Our country needs us to unite for the purpose of imposing fiscal restraint and limits on the federal government and to place term limits on federal officials. To do this we must educate and influence our State Legislators. I have recorded a short video with some tips on reaching people on Election Day. We are now up to 12 states who have called for a Convention of States to rein in federal overreach! Missouri just passed its resolution! We need Virginia to join with these liberty-loving states! It's going to take action from you to get it done. Get involved: We need leaders to step up now! Be a leader! We are currently seeking media liaisons, coalitions directors, legislative liaisons, and tech managers at the regional level. (Note: The job descriptions at the link above show "state" level positions, but we will put you in the regional level.) we are also recruiting folks to join the Follow Up Team, Chat Team, QRT and Social Media Warriors. We are also looking for people to meet with and call their State Legislator, recruit volunteers by forming their own local groups, help with events across the state, write letters to the editor and much more. There is something for everyone to do! What are we all about? Building the most effective grassroots organization in the Commonwealth of Virginia that will join with others states to restore the sovereignty of the people by educating and influencing the General Assembly of Virginia to pass our COS resolution to invoke Article V of the U.S. Constitution. Then, influence the legislators to select delegates to the convention, and ratify the amendments. Saturday at 11:00 AM EST- COS and Social Media: RSVP here. Sunday at 8:00 PM EDT - Weekly BattleCry with Mark Meckler. RSVP here. Tuesday at 7:00 PM EST - Intro to Convention of States. RSVP here. Tuesday at 9:00 PM EST - National DC and Volunteer Call. RSVP here. VIDEO OF THE WEEK: June 13 Primary! "How to" guide on using the opportunity the primaries give us to build our organization. Watch the video here. Where can I find my state's webpage on COSAction.com? Where's the Convention of States Handbook? What's our strategy and why will it succeed? What are the typical questions you may get? Register for our 14th Biennial National Convention in Orlando this Saturday! This weekend we're hosting our 14th Biennial National Convention at the Rosen Centre in Orlando! Even if you prefer to pay at the door, please still register today. 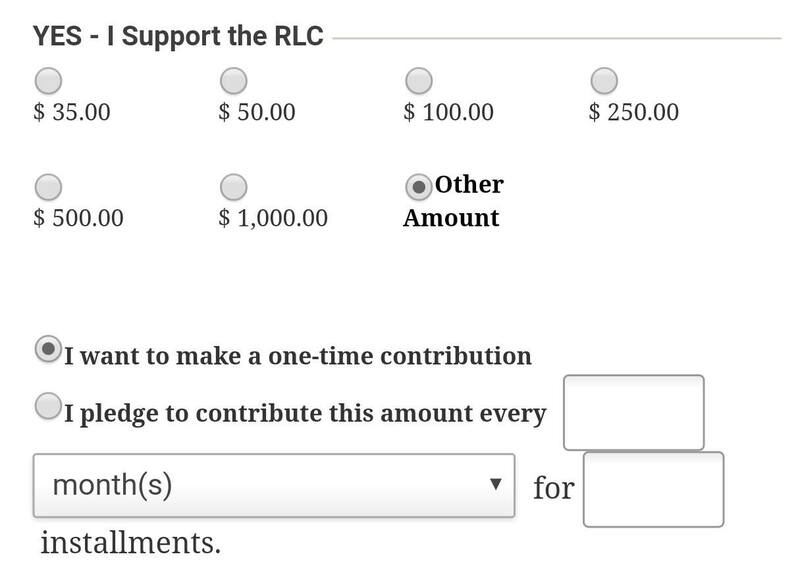 If you are paying at the door or paying via check, please select "Payment By Check" when entering a payment method. The deadline to register as a delegate was on 2/26. Starting at 3PM on Friday the 26th, all Florida delegates and alternates will attend their State Convention where they will elect officers and regional board members, discuss and amend their platform and hear from Michael Boldin of the 10th Amendment Center. Anyone is welcome to view the business meeting. A cocktail reception for all attendees will be hosted at the bar in the main lobby following the business meeting at 6PM. Starting at 9AM on Saturday the 27th, all attendees are invited to our first event, Breakfast with Congressman Ted Yoho. There will be a Panel Discussion (Liberty in the Media) and a State Officer Roundtable at 10AM and a breakout session (Emerging Issues) at 11AM. Noon Lunch speakers are Cliff Maloney Jr., President of Young Americans for Liberty and Michael Boldin, Executive Director and Co-Founder of the 10th Amendment Center. Following lunch at 1:30PM will be a panel on Impacting State Legislation and a breakout session, Turning Critics into Converts. The National Convention Business Meeting begins promptly at 2:30PM (don't be late!) where all registered delegates will vote for officers and caucus with each other to strategize and develop solutions for the organization. A cocktail reception will be held at 6PM and the main banquet will begin at 7PM with Loren Spivack the Free Market Warrior and our Keynote Tom Woods, Senior Fellow at the Mises Institute. We are so excited to bring everyone together for our 14th annual national convention! 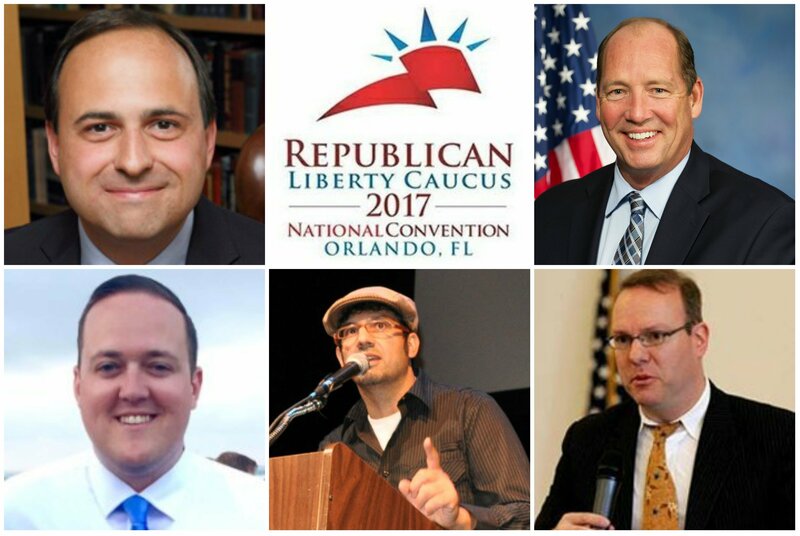 We can't wait to rendezvous with fellow RLCers and lovers of liberty from around the country. With the spotlight now fully on the Republican Party, it's our time to shine. You read that right! For the first time in YEARS, we have merchandise available online for purchase - and for cheap! There are more products to view in the store, and more to be released in the near future. 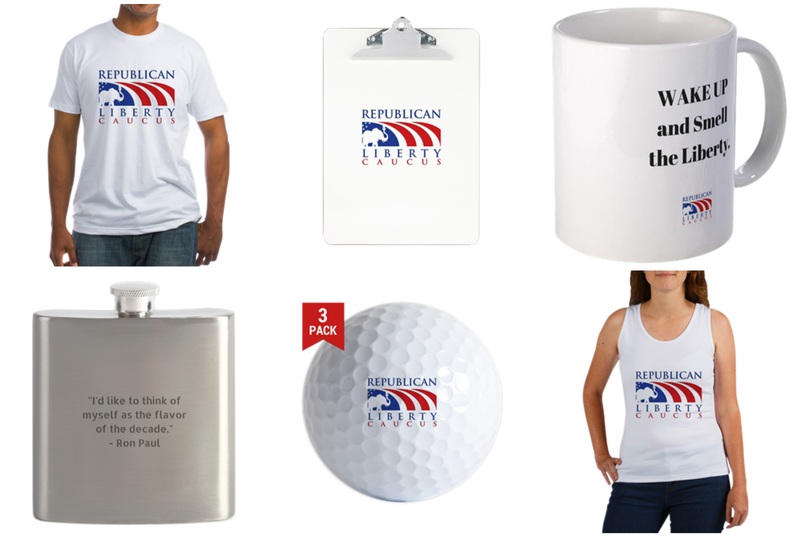 Please help support America's lone libertarian Republican non-profit and all-volunteer organization by buying a t-shirt, sticker or one of our signature coffee mugs! GOP activist Bob White, the chairman of the Republican Liberty Caucus of Florida (RLCF), announced on Monday that he is running for governor in 2018 when Gov. Rick Scott faces term limits. White, who also leads Republican Liberty Caucus of Central East Florida (RLCCEF) and the founder of the Liberty Catalyst Fund (LCF) which works "to educate voters on issues of liberty, freedom, constitutional integrity and limited government" and "promote candidates that demonstrate a commitment to these principles and oppose candidates that do not," has been active in recent months, opposing Scott's call for more funding for Enterprise Florida and Visit Florida. In recent years, White has been a vocal champion of campaign finance reform and elections reform. "I'm running for Governor because I love Florida. I've been a Floridian since the day I was born. I can't imagine living anywhere else," White wrote in an open letter to Floridians announcing his candidacy. "I grew up in Polk County, in the heart of the Florida citrus industry. As teenagers, we earned our spending money picking fruit, pruning trees, and moving irrigation pipe before and after school. We even worked 'firing' the groves when the temperatures dropped below freezing. As a fourth generation Floridian, some of my fondest childhood memories are of family reunions on the shores of Silver Lake, near Palatka, or at my grandparent's home in Okeechobee. "To be sure there are places in Florida where that idyllic lifestyle still exists," White continued. "I hope we never lose that part of our heritage. But the reality is that times have changed. Florida is now the third largest state in the nation and is experiencing every advantage and disadvantage that kind of population growth inevitably brings. Growth presents opportunities and challenges. We need a government in Tallahassee that embraces the opportunities and rises to the challenges! Sadly, that's not what we've been getting. I aim to change that. 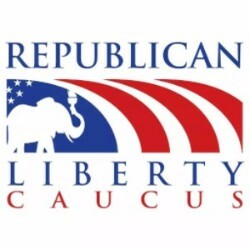 Since 1991, we've stood as America's lone libertarian Republican non-profit and all-volunteer organization. Please consider generously donating a one-time contribution of $14 to celebrate our 14th Biennial National Convention and 25 years of railing against the Republican establishment! Copyright © *2017* *Republican Liberty Caucus*, All rights reserved.